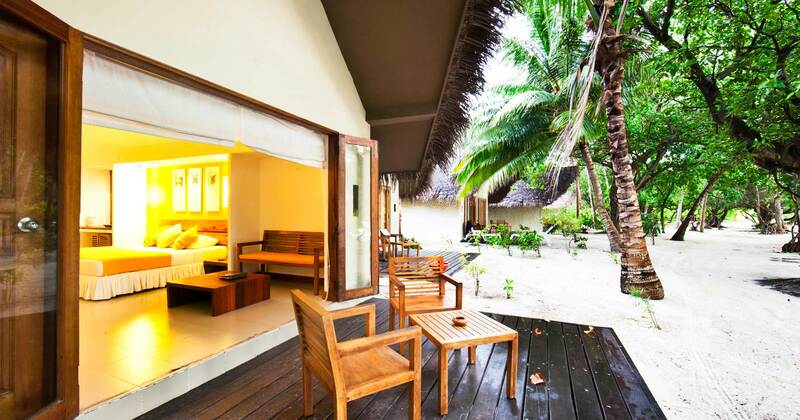 Adaaran Select Hudhuranfushi is a peaceful haven nestled in amongst the beautiful tropical vegetation of the Maldives, 30 minutes by speedboat from Malé. 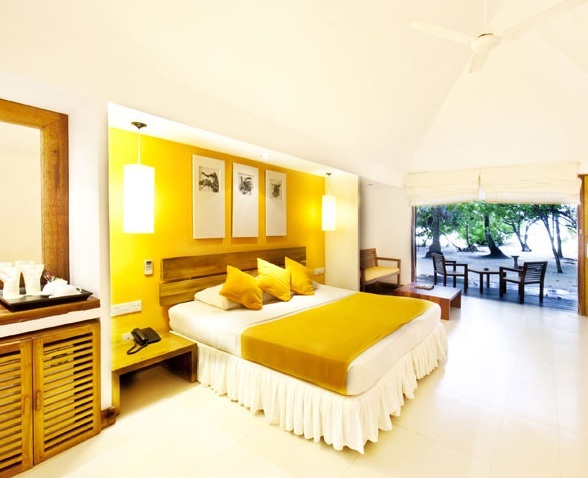 Spectacular lagoon views, stylish villas and an abundance of activities make this resort ideal for an idyllic Maldives holiday. 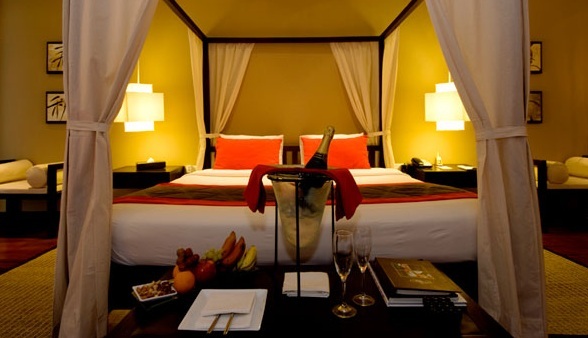 The relaxed atmosphere will have you addicted by the time you return back home – filled with new energy. 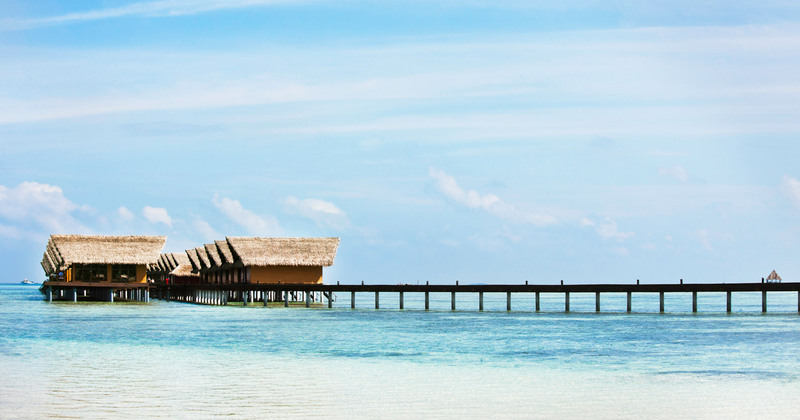 Spend your day soaking up the Maldives sun by the soft beach, before you treat yourself to a holistic wellbeing experience in the stunning spa. When the sun sets across the marvelous Indian Ocean, you know it’s time for an amazing dinner with your family or loved one. 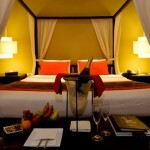 Maybe you will end the night with some karaoke, or simply just gaze at the stars with an exotic cocktail in your hand. 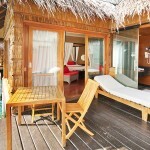 The Beach Villas are located in front of the picture-perfect beach. 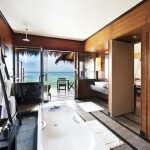 These villas feature tropical décor and a private terrace made for watching those magical Maldives’ sunsets. 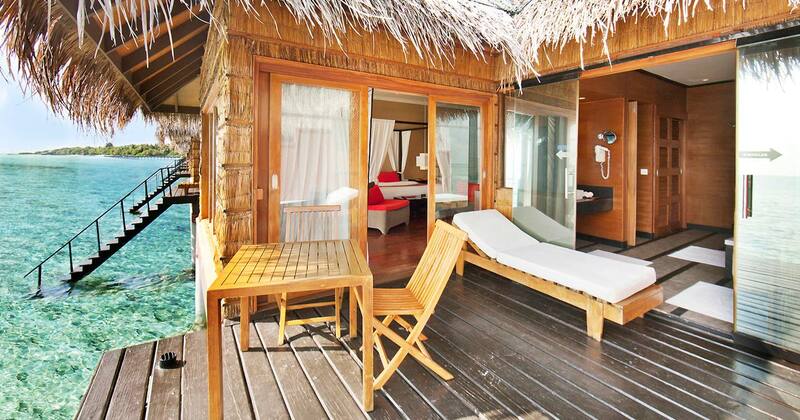 The garden villas are speckled across the island, surrounded by lush tropical greenery to give privacy. 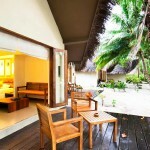 Adaaran Select Hudhuranfushi has always had an excellent reputation for its first class facilities. 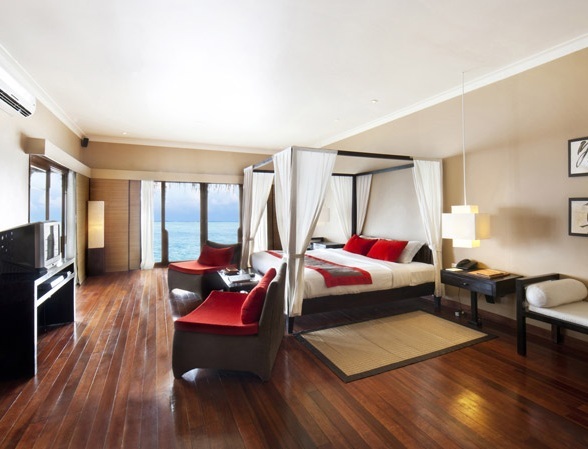 All the family will enjoy their holiday here; baby cots are available and the separate kids’ pool and fun play areas will make for an entertaining holiday for everyone. The older guests can take advantage of the stunning swimming pool with whirlpools and visit the well-stocked souvenir shop. 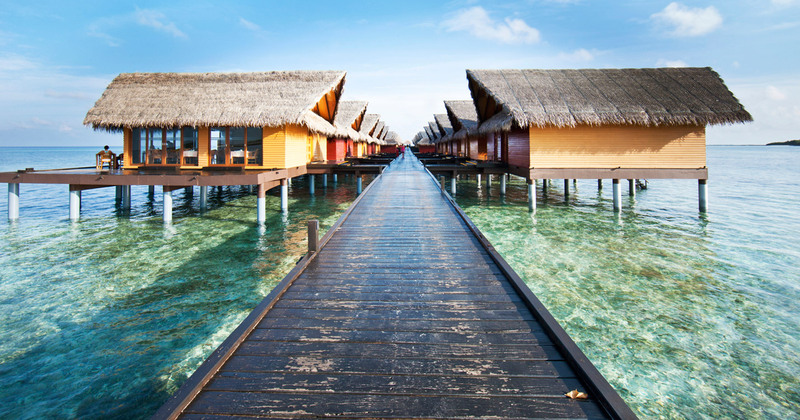 With the fantastic Indian Ocean at your doorstep, why not go snorkelling, scuba diving or surfing to make the most out of your Maldives holiday? The house-reef with its clear water is excellent for discovering the fascinating marine life, and the waves are ideal for surfing. 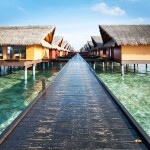 You can also go on boat trips to nearby paradise islands or go fishing in the sunset. Sports such as tennis, badminton, squash and volleyball are also available. 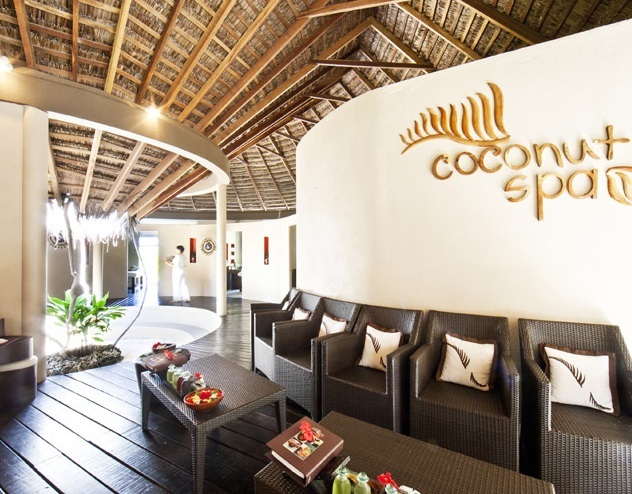 The Coconut Spa is the ideal retreat for you if you want to leave your stresses behind once and for all. 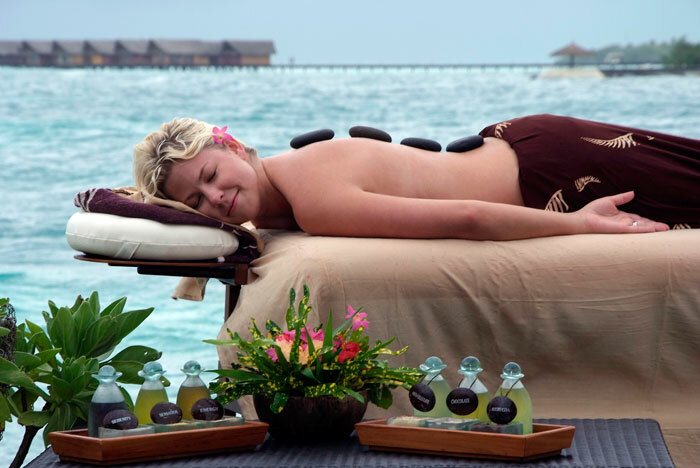 The wide range of beauty and health treatments will let you drift off in a world of complete tranquility. Warm oil massages and reflexology are examples of treatments. 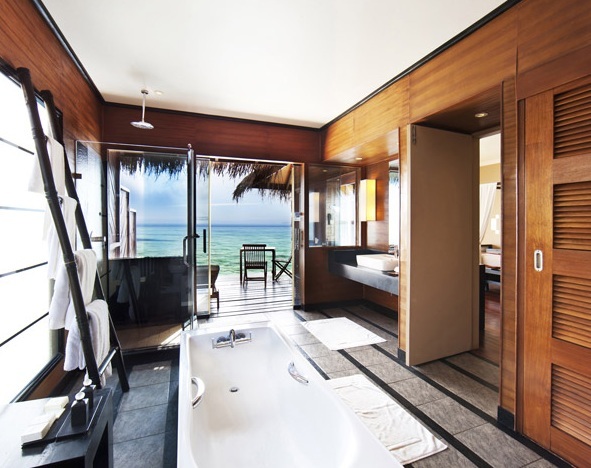 This serene spa features a Jacuzzi bath and a couple treatments room. Even though Adaaran Select Hudhuranfushi is located on a hidden away atoll in the Indian Ocean, guests are able to enjoy delicious food from all over the world. There are four lovely restaurants to choose from. Banyan Restaurant is the main restaurant of the resort, located on the west side. The impressive buffets consist of dishes from every corner of the world. 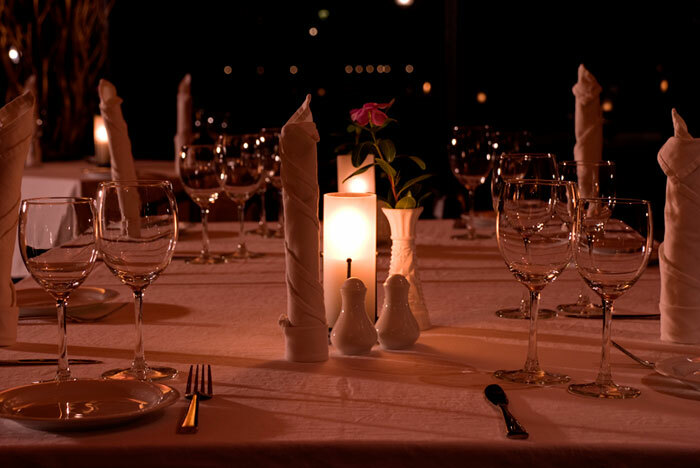 Sunset Restaurant is an exclusive a la carte restaurant where fine dining experiences await. 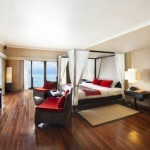 The stunning backdrop of the Indian Ocean will add to the experience and make your food taste even better. Lohis Bar is where you will head for a tranquil cocktail at the beach. Here you and your loved one will enjoy watching the sunset together. 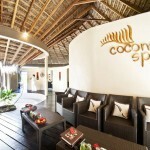 Hiyala Bar has a relaxed atmosphere, perfect for making new friends on your Maldives holiday. This bar is located by the pool, so you can soak up the sun while sipping on a refreshing cocktail. 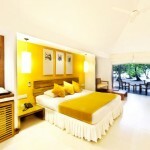 Simply Maldives Holidays offer an All-Inclusive Package for guests staying at Adaaran Select Hudhuranfushi. 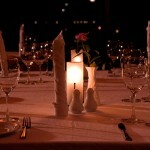 Your allocated restaurant depends on type of accommodation.